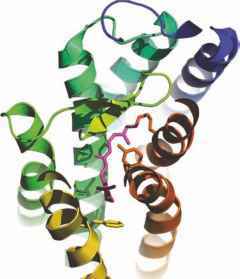 The most important breakthrough in understanding GPCR structure came in 2000 with the publication of the first high-resolution (2.8 A) 3D crystal structure utilizing X -ray diffraction of the ground state of bovine rhodopsin [ 1] . This high-quality and detailed structure revolutionized our understanding of GPCRs and provided a template of sufficient quality to model other GPCRs. Although, at that time, considerable information had been generated from 2D crystals, obtaining conditions for growing 3D crystals suitable for X-ray diffraction proved considerably more difficult. After numerous trials varying the solubilization conditions, pH, temperature, as well as the concentrations of various additives, a critical step forward came with the use of a mixed micelle system containing nonyl P-D-glucoside (NG) and heptane-1,2,3-triol (HPTO). This combination enabled highly purified rhodopsin to be obtained by a singlestep extraction from rod membranes, provided a stabilizing environment for rhodopsin, and also altered the phase separation boundary in the detergent/ precipitant system, which facilitated the formation of crystals. Crystals had to be grown at a low temperature for several months in the dark. A practical problem when working with rhodopsin crystals is that exposure to visible light, even at low temperature, bleached the crystals and caused them to decompose within a few minutes, thus making analysis of the crystallization plates under a light microscope difficult. In this first 3D structure, all 198 residues, which constitute the seven transmembrane helices (TM), were clearly defined. The dimensions of rhodopsin were found to be ~75 A perpendicular to the membrane, 45 A wide, and ~35 A thick. The transmembrane helices do not all lie parallel, but rather, helices 1, 4, 6, and 7 are bent at proline residues, most notably in TM4, which is bent close to the extracellular end, and in TM6, which is bent close to the center at Pro267. An important region of Class A GPCRs found within the transmembrane domains is the highly conserved tripeptide sequence Glu134, Arg135, Tyr136 known as the (D/E)R(Y/W) motif on the end of TM3. This area is involved in several hydrogen bonds with surrounding residues, in particular, Glu134 forms a salt bridge with Arg135, which is also connected to Glu247 and Thr251 in TM6. This interaction was later named the "ionic lock" and was proposed to play an important role in stabilizing the ground state of rhodopsin. Later evidence suggested that disruption or breakage of the ionic lock was a key conformational change, which occurs during receptor activation . and thus parallel with the membrane. Another interesting region in the extramembrane regions of rhodopsin is the second extracellular loop, part of which folds into the center of the protein. Arg177 to Glu181 (P3) forms a P-sheet, which interacts in an antiparallel fashion with another P-sheet formed from Ser186 to Asp190 (P4). P4 is next to, and forms part of, the 11-a's-retinal binding pocket. Adjacent to this, Cys187 forms a disulfide bond with Cys110, located at the extracellular end of TM3. This disulfide bond is conserved across the majority of Family A GPCRs. The extracellular domains, made up of the N- t erminal 33 amino acids and the three extracellular loops, form a close association with each other, which is now known as the plug or cap. Another region that is highly conserved in GPCRs is the NPxxY (NPVIY in rhodopsin) sequence close to the end of TM7. The side chains of two polar residues in the region, Asn302 and Tyr306, project into the protein, and there is likely an interaction between Tyr306 and Asn73 in TM2, which is also highly conserved. In addition, Asn302 may interact with a water molecule near Asp83, thereby providing a network of contacts among TM2, TM3, and TM7. The 2000 structure of rhodopsin also provided a detailed picture of the ligand 11-cis-retinal binding site with the Schiffbase linkage to Lys296 in TM7 and the retinylidene group located toward the extracellular side. The counter-ion for the Schiff base is Glu113, which is highly conserved in vertebrate visual pigments. The P-ionone ring at one end of the retinal structure is surrounded by side changes from TM5 and TM6 (Met207, His211, Ph212, Tyr268, and Ala269). From this ring, the retinylidene group runs parallel to TM3, which provides various side chains forming the binding pocket including Glu113. Additional residues from TMs 1, 2, and 7 (Tyr43, Met44, Leu47, Thr94, and Phe293) surround the Schiff base. As mentioned above, the second extracellular loop also provides a contribution to the binding site, in particular, Glu181 and Tyr191 form part of the retinylidene binding site (Fig. 14.3). Although this structure represented the inactive conformation of the receptor, a number of deductions could be made about likely changes occurring upon receptor activation. The model of rhodopsin obtained from the structure demonstrated that isomerization of the 11-cis-retinal to an all-trans configuration would result in a movement of the P-ionone ring toward TM2 and a likely displacement of the Schiff base/C9/C13 regions. Movement of TM3 within the binding pocket would translate into a reorientation of the ERY motif and a possible breaking of the ionic lock. It was also suggested that activation could disrupt the network of intramolecular interactions, leading to rearrangements of the helical bundle and movements in both TM3 and TM6. This structure was further refined (1HZX) , giving better resolution to some of the amino acids missing in the first structure, and was extended again to a 2.6-Â structure (1L9H), where additional water molecules, including some close to the ligand binding site, were seen . Figure 14.3 The ligand binding site of rhodopsin containing the chromophore 11-cw-reinylidene (pink) and the residues of the receptor providing points of interaction, in particular, Lys296, which couples to the chromophore via the protonated Schiff base. Transmembrane helices are colored as follows: TM1, blue; TM2, turquoise; TM3, dark green; TM4, light green; TM5, yellow; TM6, orange; TM7, red. the structures were the C3 loop and the cytoplasmic ends of TM5 and TM6. In the new structure, they were extended by one turn at the cytoplasmic end, thereby raising the C3 loop above the surface of the membrane. This was an important finding since the C3 loop is known to be involved in G protein coupling. Another interesting feature of this structure was the presence of an ordered molecule of the detergent LDAO (N,N-dimethyldodecylamine-N-oxide) bound to the kink in TM6. The LDAO may be contributing to stabilizing the inactive protein conformation. The addition of LDAO during solubilization was a critical step in obtaining better ordered crystals. The new structure also contained additional ordered water molecules, which allowed an extended hydrogen bonding network to be identified. In particular, Asp83 and Trp265 in the retinal binding pocket were linked by ordered H-bond networked to Met257 and Asn302, which is in the NPxxY motif at the end of TM7. While obtaining this structure of native rhodopsin, the same group  also examined the effect of a variety of steps to modify the rhodopsin protein with a view to facilitating crystallization. These included protease treatment to remove the C-terminus and portions of the third intracellular loop (ICL) and reductive methylation of exposed lysines. 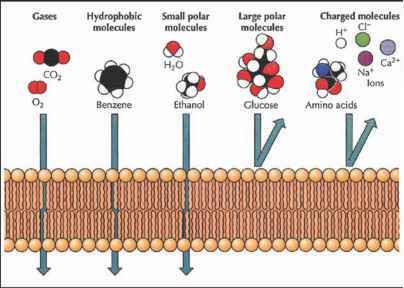 Phosphorylation conditions were also controlled so as to produce homogeneously diphosphorylated species rather than a mixture of any number of up to seven phosphates, which is normally obtained from ROS membranes. In the same year, Okada et al. achieved a dramatic improvement in the resolution of rhodopsin to 2.2 Â using a new method of purification and crystallization with the single detergent heptylthioglucoside. This structure gave a complete definition of the protein backbone, including the extended helical structure of TM6. The structure of the 11-cis-retinal ligand within the binding site was more precisely defined, demonstrating a significant negative pretwist of the C11-C12 bond. This new observation was important as the C11-C12 bond is involved in the activation of the receptor by light via photoisomeriza-tion of the 11-12 bond from cis to trans. The first structure of a recombinantly expressed GPCR was published in 2007  . Although rhodopsin is a relatively stable receptor, it still did not express well in recombinant systems, such as in bacteria. Furthermore, expression in other systems resulted in heterogeneously glycosylated proteins. Cultured cells do not produce 11-cis-retinal so this must be added exogenously prior to solubilization. Standfuss et al. expressed a thermostably engineered mutant form of rhodopsin in COS cells containing an additional disulfide bond between the N-terminus and the third extracellular loop (Asn2Cys/Asp282Cys). Mutation of the asparagine residues (Asn2 and Asn15) (Asn15Asp) also removed both N-linked glycosylation sites, thereby avoiding potential carbohydrate heterogeneity. The crystals obtained were very small (5 |im x 5 |im x 90 |im) and required data collection with a microdiffractometer. This allowed diffraction to -3.5Â at a much higher success rate than would normally be achieved with native rhodopsin crystals.